What’d you do this Halloween? I attended a talk on the intersection of technology and healthcare by Dr. Erich Huang, who is an assistant professor of Biostatistics & Bioinformatics and Assistant Dean for Biomedical Informatics. 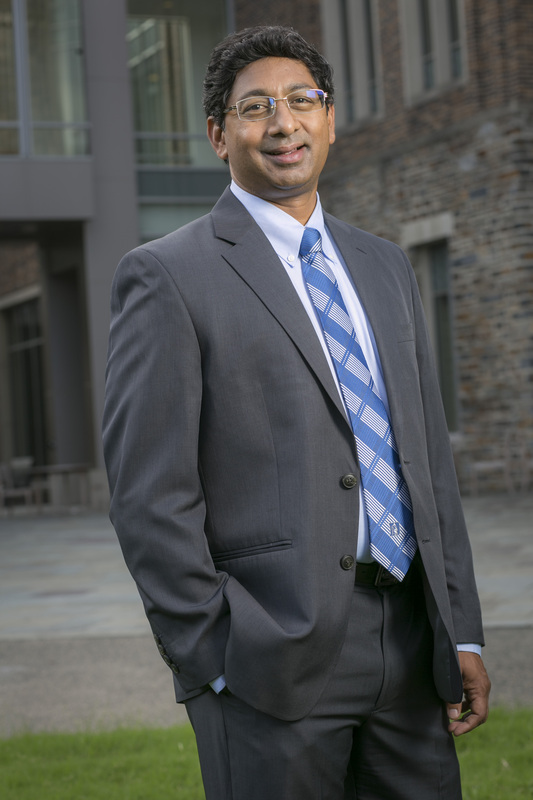 He’s also the new co-director of Duke Forge, a health data science research group. This was not a conventional Halloween activity by any means, but I felt lucky to be exposed to this impactful research surrounded by views of the Duke forest in fall in Penn Pavilion at IBM-Duke Day. 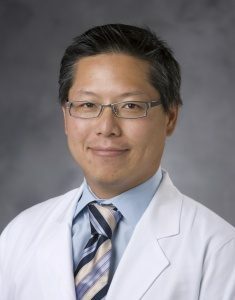 Erich Huang, M.D., PhD. is the co-director of Duke Forge, our new health data effort. Dr. Huang began his talk with a statistic: only six out of 53 landmark cancer biology research papers are reproducible. This fact was shocking (and maybe a little bit scary? ), considering that these papers serve as the foundation for saving cancer patients’ lives. Dr. Huang said that it’s time to raise standards for cancer research. What is his proposed solution? Using data provenance, which is essentially a historical record of data and its origins, when dealing with important biomedical data. 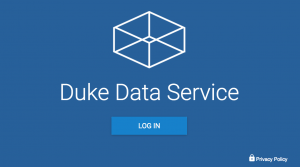 He mentioned Duke Data Service (DukeDS), which is an information technology service that features data provenance for scientific workflows. With DukeDS, researchers are able to share data with approved team members across campus or across the world. Next, Dr. Huang demonstrated the power of data science in healthcare by describing an example patient. Mr. Smith is 63 years old with a history of heart attacks and diabetes. He has been having trouble sleeping and his feet have been red and puffy. Mr. Smith meets the criteria for heart failure and appropriate interventions, such as a heart pump and blood thinners. A problem that many patients at risk of heart failure face is forgetting to take their blood thinners. Using Pillsy, a company that makes smart pill bottles with automatic tracking, we could record Mr. Smith’s medication taking and record this information on the blockchain, or by storing blocks of information that are linked together so that each block points to an older version of that information. This type of technology might allow for the recalculation of dosage so that Mr. Smith could take the appropriate amount after a missed dose of a blood thinner. These uses of data science, and specifically blockchain and data provenance, show great opportunity at the intersection of technology and healthcare. Having access to secure and traceable data can lead to research being more reproducible and therefore reliable. At the end of his presentation, Dr. Huang suggested as much collaboration in research between IBM and Duke as possible, especially in his field. 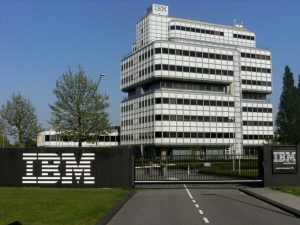 Seeing that the Research Triangle Park location of IBM is the largest IBM development site in the world and is conveniently located to one of the best research universities in the nation, his suggestion makes complete sense. Individual RNA molecules fluoresce inside a breast cancer cell. Credit: Sunjong Kwon, Oregon Health & Science University, via Flickr. Most drugs work by tinkering with the behavior of proteins. Like meddlesome coworkers, these molecules are designed to latch onto their target proteins and keep them from doing what they need to do. If a protein is responsible for speeding up a reaction, the drug helps slow the reaction down. If a protein serves as a gatekeeper to a cell, regulating what gets in and what stays out, a drug changes how many molecules it lets through. But proteins aren’t the only doers and shakers in our bodies. 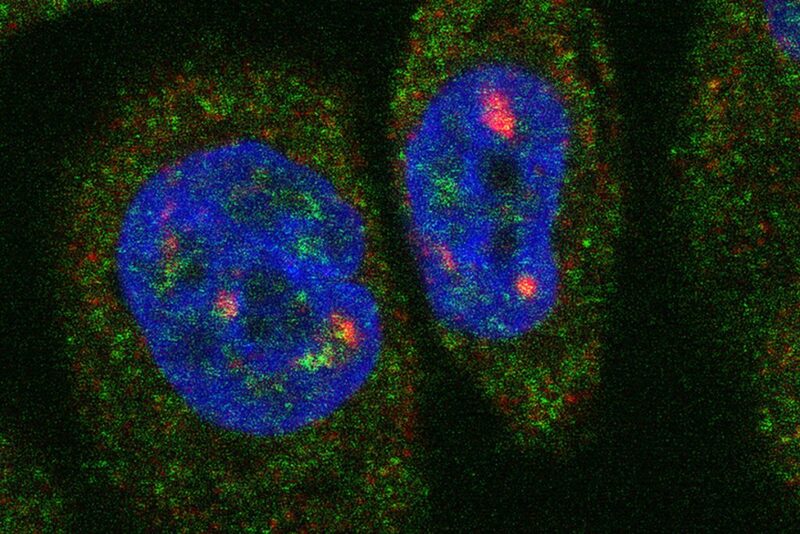 Scientists are finding that strings of RNA — known primarily for their role in shuttling genetic information from nucleus-bound DNA to the cell’s protein-manufacturing machinery — can also play a major role in regulating disease. 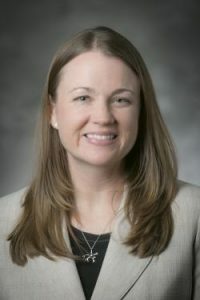 Amanda Hargrove is an assistant professor of chemistry at Duke University. Hargrove and her team at Duke are working to design new types of drugs that target RNA rather than proteins. RNA-targeted drug molecules have the potential help treat diseases like prostate cancer and HIV, but finding them is no easy task. Most drugs have been designed to interfere with proteins, and just don’t have the same effects on RNA. Part of the problem is that proteins and RNA have many fundamental differences, Hargrove said. While proteins are made of strings of twenty amino acids that can twist into myriad different shapes, RNA is made of strings of only four bases — adenine, guanine, cytosine and uracil. To find out, graduate student Brittany Morgan and research associate Jordan Forte combed the scientific literature to identify 104 small molecules that are known interact with specific types of RNA. They then analyzed 20 different properties of these molecules, and compared their properties to those of collections of drug molecules known to interact with proteins. The team found significant differences in shape, atomic composition, and charge between the RNA-active molecules and the protein-active molecules. They plan to use the results to compile a collection of molecules, called a library, that are chosen to better “speak the language” of the RNA-active molecules. They hope this collection of molecules will be more likely to interact with RNA in therapeutically beneficial ways. Data collected through genomics research is revolutionizing the way we treat cancer. But a large population of cancer patients are being denied the benefits of this research. Patrick Tan MD, PhD is a professor of cancer and stem cell biology at Duke-NUS Medical School in Singapore. In 2016, less than one percent of all the existing genomic data came from the 60% of the world population living outside of the US, Europe, and Japan. Furthermore, 70% of patients who die from cancer this year will come from Asia, Africa and Central and South America. Patrick Tan, M.D., Ph.D., and the Duke-National University of Singapore (Duke-NUS) Medical School are key players in an effort to rectify this discrepancy, specifically as it exists in Southeast Asia. In his talk, sponsored by the Duke Center for Applied Genomics and Precision Medicine, Tan focused specifically on his work in northeast Thailand with cholangiocarcinoma (CCA), or bile duct cancer. Liver flukes like this are parasites of fish that migrate to human hosts who eat the fish raw, leading to a form of bile duct cancer. While CCA is rare in most of the world, it appears at 100 times the global rate in the region of Thailand where Tan and his colleagues work. Additionally, CCA in this region is of a separate and distinct nature. CCA in this region is linked with a parasitic infection of the bile ducts called a liver fluke. Residents of this area in Thailand have a diet consisting largely of raw fish, which can be infected by the liver fluke and transmitted to the person who eats the fish. Because of the poverty in this area, encouraging people to avoid eating raw fish has proven ineffective. Furthermore, healthcare is not readily available, so by the time most patients are diagnosed, the disease has progressed into its later and deadly stage. Tan’s genomic research has discovered certain factors at the gene level that make liver-fluke positive CCA different from other CCA. Thus genomic data specific to this population is vital to improve the outcomes of patients with CCA. Duke-NUS Precision Medicine (PRISM) has partnered up with the National Heart Research Institute Singapore (NHRIS) in SPECTRA, a program designed to create a database of genomic data from the healthy Asian population. SPECTRA is sequencing the genomes of 5,000 healthy Asians in order to create a baseline to which they can compare the genomes of unhealthy individuals. These and other programs are part of a larger effort to make precision medicine, or healthcare tailored to an individual based on factors like family history and genomic markers, accessible throughout southeast Asia. Edison, NJ is just 40 miles from Manhattan and 70 miles from Philadelphia. It’s also home to the US EPA’s Emergency Response Team (ERT), where I spent the summer as an intern. 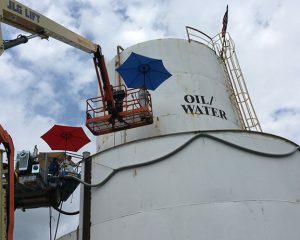 Stella Wang and an EPA contractor used lifts to test oil being pumped out of these huge tanks. It was found to be contaminated with mercury, benzene and lead. At the start of my internship, I had little idea of how ERT functioned. 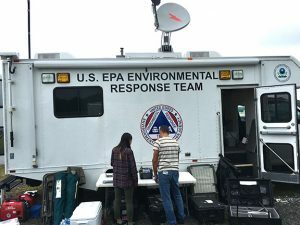 Unlike the 10 regional offices of the Environmental Protection Agency, ERT is a “headquarters” or Washington, DC-based group, which means it responds to incidents all over the country such as oil spills, train derailments, and natural disasters. For example, my mentor, an air specialist who generally works from his cubicle in Edison, aided in the immediate aftermath of Hurricane Katrina by employing equipment to analyze air for hazardous pollutants. Other ERT team members have conducted sediment sampling to expedite the hazardous waste removal process, given consultation advice to other EPA members for long-term remedial site work, and led the innovation of new technology. I was able to shadow and help my mentor and fellow ERT members with their Superfund site removal work. I created accurate maps showing injection well locations, learned how to use air monitoring instruments, and helped perform chemical lab experiments that will be employed for future site analysis. Perhaps my favorite part of the internship was traveling to a myriad of active sites. At these sites, I not only got to see how ERT members worked with EPA’s on-scene coordinators, but also observed the physical removal and remediation processes. I was fortunate to visit a particular site multiple times — I witnessed the removal of contaminated oil from an abandoned lot as the summer progressed. Stella Wang (left) and an EPA air specialist calibrating a air monitoring instrument before a public event. At another site, I saw the beginning of an injection process intended to prevent the contamination of underground drinking water by hexavalent chromium. By pumping sodium lactate into underground wells, the hexavalent is converted into the insoluble and benign chromium-3 ion. If the injection process works, the community will no longer be threatened by this particular hazardous material. ERT also acts in anticipation of possible contamination to protect the public. At largely attended events like the Democratic National Convention, a few ERT members will arrive with monitoring equipment. They pride themselves in their real-time data collection for a reason: throughout the event, they can detect whether a contaminant has been released and immediately instigate an emergency response to protect attendees. Thanks to various ERT members, I felt accepted and welcome. They were open and patient with my never-ending questions about their career paths and other things. They’ve graciously taken me out to lunch so that they could get to know me better, ensuring my inclusion in their small community. Of course, the experiences I had this summer, while brief, have taught me a tremendous amount and I have a clearer sense of how this division of the US federal government functions. But, it would be inaccurate and unjust to omit the impact that its people made on me. The medical community is growing alarmed about a creeping malady that can diminish the quality of life for patients in treatment and even shorten their lives. Yousuf Zafar is an oncologist and health policy researcher. 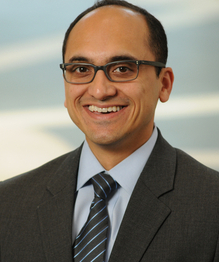 A cancer diagnosis more than doubles an American’s chance of declaring bankruptcy, Duke medical oncologist Yousuf Zafar, MD, MHS, told an audience of nursing faculty and students at a May 10 luncheon lecture sponsored by the Duke Center for Community and Population Health Improvement. And that bankruptcy, in turn, has been shown to decrease survival rates. In addition to treating cancer patients, Zafar studies access to care and the cost of care at the Duke Cancer Institute, the Sanford School of Public Policy, and the Margolis Center for Health Policy. Zafar told personal stories of two patients who waved off treatments because of the financial hardship they feared. Gleevec (Imatinib) is an oral chemotherapy made by Novartis. One of them had a job with health insurance, but no prescription drug coverage, which put him on the hook for $4,000 in medications to treat his rectal cancer for just a few weeks. Had either the patient or Dr. Zafar brought the topic up, the costs might have been avoided, but they never talked about money, he said. The other patient passed up another round of treatment for his pancreatic cancer, for fear of the bills his family would be saddled with when he died. Another source of the steep climb is the advent of biologic drugs, which are expensive to develop, use and store, but offer more targeted therapy for individual patients. One of the most successful of these is Gleevec (Imatinib) an oral chemotherapy that became 158 percent more expensive from 2007 to 2014, Zafar said. If you do a Google search for Gleevec, the first thing you find is a Novartis page with the headline “Understand Your Out-Of-Pocket Costs For Gleevec” that includes a link to financial assistance resources. In the face of outrageous costs and questionable benefits, a treatment team in many cases can help patients find other means of support or alternative treatments to achieve the same end with less financial damage. But they have to have the conversation, Zafar said. He’d like to see Duke’s Cancer Center become the first in the country to be totally transparent about costs, but he acknowledged that it may be a difficult quest. To help enable those conversations, Zafar developed a mobile app called Pathlight to help patients make more informed decisions and plan better for the financial burden of treatment. For some of the technology used in the project, Zafar has partnered with a software company called Vivor, which has found innovative ways to help patients navigate to financial assistance programs. That part of the project is supported by the NIH’s National Cancer Institute. Even for people not in treatment, drugs have become more costly. Healthcare premiums rose 182 percent from 1999 to 2013, with workers paying an increasing share of the cost of their own employee health plans. One of the body’s first lines of defense against harmful pathogens is the skin. The constant maintenance of this epithelial cell layer which serves as a barrier to infection is essential to fighting off disease. 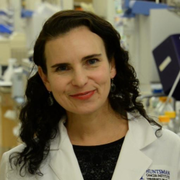 Jody Rosenblatt, an Associate Professor in the Department of Oncological Sciences at the University of Utah School of Medicine, has made it her lab’s mission to study the function of epithelia as a barrier, how this barrier is maintained, and what happens when it goes awry. Rosenblatt recently spoke at Duke’s Developmental & Stem Cell Biology Colloquium where she presented some extraordinary findings about how epithelia can squeeze out both healthy and dying cells to preserve the protective barrier. Some c cells commit suicide via programed cell death and are forced out of the cell layer because they are no longer functional. But in the case of forcing out living cells, “cell extrusion is more like a homicide” said Rosenblatt. The fact that perfectly functional living cells are pushed out of a cell layer perplexed her group until they discovered it was happening as a response to cell overcrowding. Rosenblatt explained that like people, cells tend to like their personal space, so when this is compromised, live cells are actively pushed out of the cell layer, restoring balanced cell numbers. Rosenblatt’s lab took this discovery a step farther and pinpointed the pathway that likely induces the extrusion of live cells. Piezo1, a stretch-activated calcium ion channel present in epithelial cells, senses crowding and activates sphingosine-1-phosphate (S1P), the driver of epithelial cell extrusion. When Piezo1 channels are inhibited and don’t sense stretching, cells cannot extrude. Using zebrafish, Rosenblatt showed that when extrusion was blocked by compromising the S1P2 pathway, epidermal cells form masses that are resistant to chemotherapy drugs and signals for programmed cell death. Rosenblatt explains the importance of regulating cell extrusion in the epithelium to maintain the tissue’s function as a protective barrier for our organs. Misregulation of this function can result in diseases such as metastatic cancers. This finding lead them to examine samples of human pancreatic, lung, colon, and breast tumors. They found that in all of these cancers, S1P2 is significantly reduced. But if they restored S1P2 activity in cell lines of these cancers, the extrusion pathway was rescued and tumor size and metastases were greatly decreased! Rosenblatt and her colleagues have shown that the importance of cell extrusion cannot be overstated. If extrusion is compromised, cells can begin to pile up and move beneath the cell layer, which can lead to invasion of the tissues beneath the epithelium and metastasis to other sites in the body. 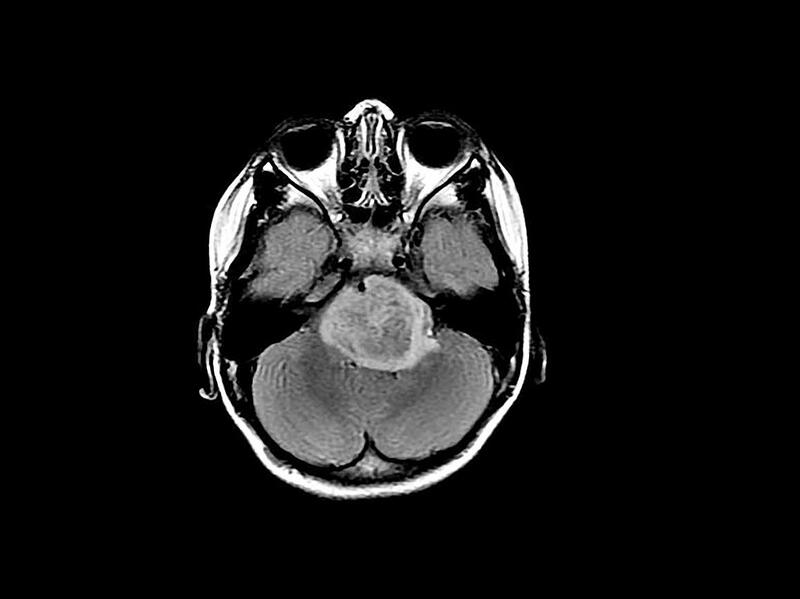 Now that we are uncovering more of the pathways involved in tumor formation and metastasis, we can develop new drugs that may be the key to fighting these devastating diseases. José Jerónimo and his team are transforming the face of cervical cancer screening. Jerónimo is a physician and senior advisor for the women’s cancers branch of PATH, an international nonprofit organization that uses innovative technologies to improve health outcomes in developing countries. Jerónimo, who’s work at PATH has facilitated the prevention and treatment of cervical cancer for thousands in the developing world, spoke at the Duke Institute for Global Health on Dec. 2. Cervical cancer testing has been a point of conflict in the medical community for quite some time now, for the pap smear — for many years, the only test available to detect cervical cancer — is not very sensitive to abnormal tissue. Since skepticism with the pap smear arose a few decades ago, doctors like Jerónimo have been working tirelessly to find more effective screening strategies. José Jerónimo, Peruvian physician and public health advocate, received his specialty training in gynecologic oncology at the National Cancer Institute in Peru. Cervical cancer can be acquired through the presence of HPV (human papilloma virus). Chronic infections of HPV have been proven to increase the likelihood of contracting cervical cancer, so developing primary prevention initiatives to avoid developing HPV to begin with are essential to decrease the prevalence of cervical cancer. HPV testing, unlike the pap smear, can be self-collected and does not require the complex, expensive machinery that the pap smear does. Initial self-sampling studies in India, Uganda, and Nicaragua indicated a willingness by the female community to self-test, so long as sanitary and private conditions were provided. Studies in the Jujuy province of Argentina indicated that community health workers played a key role in facilitating the self-sampling process. When the health workers differed locals to clinics or sent them to facilities for testing, only 20 percent actually went. But, when they brought the self-sampling tests to locals’ homes directly, testing was above 80 percent. The easy accessibility of self-sampling, along with encouragement by local health volunteers, clearly showed that self-sampling was much more effective. A group of female community health workers in Lima, Peru, educating the community about HPV testing. Jerónimo’s current work focuses on strengthening government screening systems for HPV that are already in place. By helping ministries introduce and scale up the testing, he and others at PATH hope to decrease HPV and cervical cancer rates. But, it goes beyond testing. Jerónimo emphasizes the need for evaluation and follow-up mechanisms after testing positive. Although testing efforts have improved significantly, the treatment provided after for those who have tested positive is still lagging. Jerónimo claims that much of this is due to minimal efforts by the local governments to really follow through beyond the testing phase. PATH is looking for innovative ways to treat HPV that are inexpensive and effective. They recently developed their own version of the thermal coagulator, a probe that treats infected tissue using heat. Their design runs on a battery, rather than needing constant electricity, and uses a progressive heating mechanism that is only activated upon touching the cervix. There is still progress to be made, in both testing and treatment of HPV and cervical cancer, but through efforts by both local and international communities, Jerónimo shows us that is possible. We are told time and time again that Duke is a global university, one that transcends borders and takes interdisciplinary education to the next level. On Monday, I was able to experience this international mindset firsthand at the Peru Health Symposium, a conference that celebrated a decade of culminating research efforts by Duke in Peru. The symposium was organized by Dr. William Pan, a professor of Global Environmental Health at Duke who has worked on many research projects in Peru ranging from reproductive health to tuberculosis. In his opening remarks, Pan said the trademark interdisciplinary nature of Duke has allowed it to succeed as a research institution in Peru, along with its affiliation to pioneers in Peruvian health/environmental research, like John Terborgh. “We are standing on the shoulders of giants,” said Pan. During the first panel, several research projects were presented. Helena Frischtak conducting research with Peruvian children in the field. 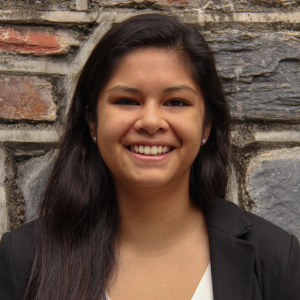 Helena Frischtak, a 4th year medical student at UVA and former Doris Duke Fellow spent a year studying the neurological effects of mercury exposure on children. She performed basic neurological exams, along with cognitive tests amongst 5-11 year-old children, and preliminary data suggests potential impacts of mercury exposure on cognitive development. Marlee Krieger of the Center for Global Women’s Health Technologies presented a cervical cancer treatment that brings colposcopy into the primary care setting. When one is screened for cervical cancer, a pap smear is first conducted and if abnormalities are detected, a colposcopy is performed and tissue is biopsied from the cervix. This multiple-step process is tedious, and the number of patients that return for the colposcopy often declines. By combining the steps into one visit and performing it with a simpler and cheaper device, testing efficiency has increased. Maria Lazo Porras of Cayetano Heredia University (Lima’s prominent medical university) presented findings on the effects of migration from rural to urban regions on chronic disease. Her findings suggest a correlation between urbanization and obesity, but provided surprising results that indicate higher rates of hypertension and diabetes in rural communities. Illegal mining scars the Amazon’s lush forests and flushes mercury runoff into streams. Students doing research in the Amazon presented posters of their findings to faculty members of the Nicolas School and DGHI. The main theme resonating throughout the conference was the need for collaboration not only to address public/environmental health concerns, but to organize symposiums like this one. The culmination of efforts by the Center for Latin American and Caribbean Studies (CLACS), DGHI, and the Nicholas School have fueled the Peru project’s palpable success. http://www.daughterofthelake.pe/ – “Hija de la Laguna” (Daughter of the Lake), 2015. The documentary tells the story of how a Peruvian woman used her powers to stop illegal mining from destroying the lake in her community; a lake that to her, represents her mother’s spirit.